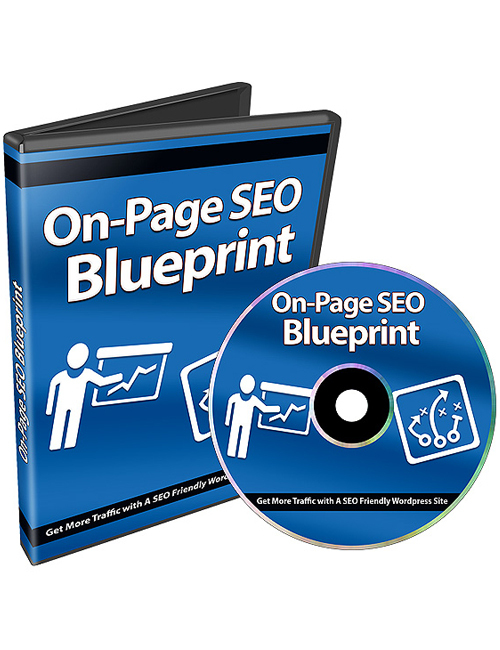 On-Page SEO Blueprint – Get More Traffic With A SEO Friendly WordPress Site is the training course you’ve been waiting for. There’s no point building a website if you don’t have the optimization aspect in place. It goes together like fish and chips. One can’t survive without the other. You need a website for your business. But you need SEO to bring traffic to that website. Wouldn’t be much use to build a fairground in a deserted wasteland void of civilization no matter how amazing that fairground is. Much like your website, you need to put as much focus on the SEO as you do in the design. The unfortunate reality is that SEO is lost on many new website owners. Their thinking is that if you build it, they will come. That might’ve worked back in the late 90s but today, there are billions of websites competing for the same traffic. If you want to be successful with your website then you need to do it the right way which means optimizing your site like a pro. You’re going to get the full comprehensive training through a series of 9 expert videos, taking you through each step in detail. You’ll learn about the essential ingredients that are crucial in getting your site ranked for your target keywords, proper URL and body text structure, image optimization, title optimization, meta tags, the best plugins and much more. This is one download you simply must have if you’re building your first WordPress site or are wanting to really learn proper SEO. Get it now.